The movie Babylon A.D.: trailer, clips, photos, soundtrack, news and much more! I heard that Director Mathieu Kassovitz was not that much proud of the movie he made because 20th Century Fox did not back him enough. But I think Babylon AD will be a damned good sci-fi movie anyway thanks to Vin Diesel, the savior from Hollywood. Babylon A.D. – I thought you were in Sudan killing babies. New York looks really crazy in this futurist vision of the city! Amazing Babylon AD! Release date: August 28, 2008. Babylon AD is the upcoming sci-fi movie starring Vin Diesel the Beast and French actress Melanie Thierry the Beauty. I don’t get bored of sci fi movies! If only there were more of them! On TV there is Battlestar Galactica, but have to wait until 2009 to know the end of the story… At least Babylon AD is only one feature movie. 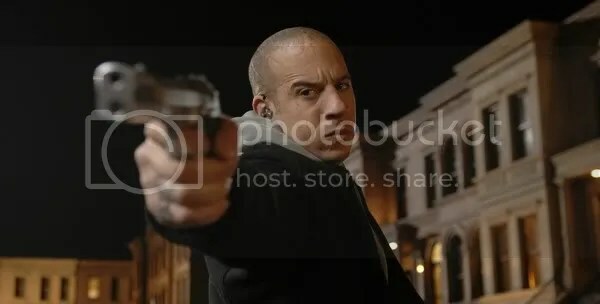 I think they are over-focusing on Vin Diesel in this trailer. Are they thinking that the American audience can’t appreciate the sci fi storyline for itself? Babylon Babies, the novel by Georges Dantec the movie is based on, was really great. I really hope Babylon AD has been able to adapt the best part of the book. Babylon AD is an upcoming sci fi movie directed by Mathieu Kassovitz and starring Vin Diesel. I like the Google Earth zoom-in effect. It’s maybe not as cutting edge as a few years ago, but it still does look hight tech. Babylon AD will be released at the end of August 2008. An interesting sci fi movie then in Summer then. Glad they decided to show Melanie Thierry on the poster too. Vin Diesel is great, but not as cute as Melanie Thierry!